Good morning. It's Tuesday, Dec. 18. • Author Alice Walker endorses anti-Semitic writings. • Surfers are lured by monster waves at Mavericks. • And an anarchic wonderland on the San Francisco Bay. 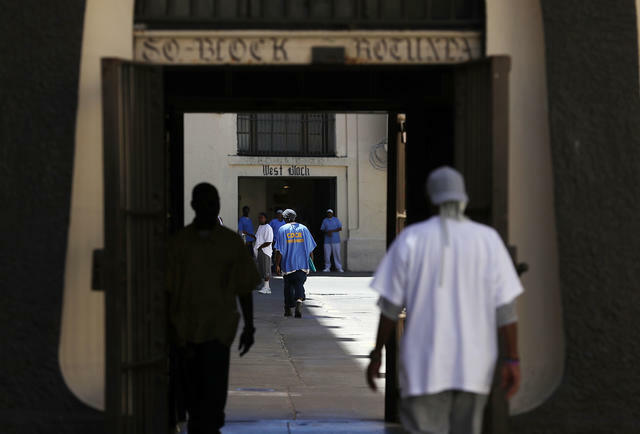 Death sentences have plummeted across California. In 2015 and again in 2017, for example, Riverside County sent more people to death row than any other county in the nation. The figure this year? Zero. Some analysts attributed the change to frustration over the bloating of death row. California hasn't executed anyone since 2006. A surfer caught a wave at Mavericks on Monday. The California coast was walloped by giant waves on Monday. 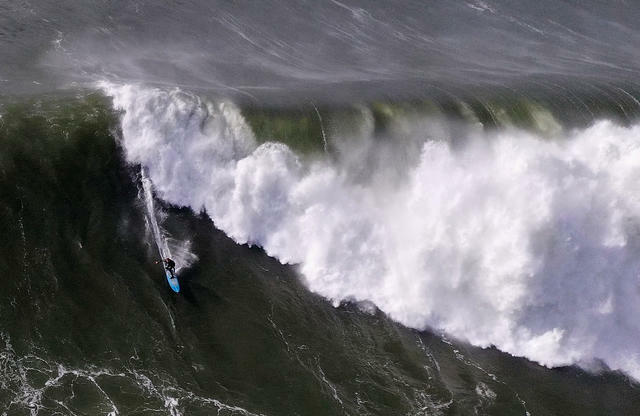 That lured some of the world's best big-wave riders to the famed Mavericks break near Half Moon Bay, where the ocean delivered five-story monsters. Some called it one of the best days in a decade. A KPIX helicopter captured intense footage. A financial news website analyzed the latest median home data to rank the country's most expensive ZIP codes. Of the top 50, all but four were in California. The costliest ZIP code was Palo Alto, also home of the state's lowest property tax rate. 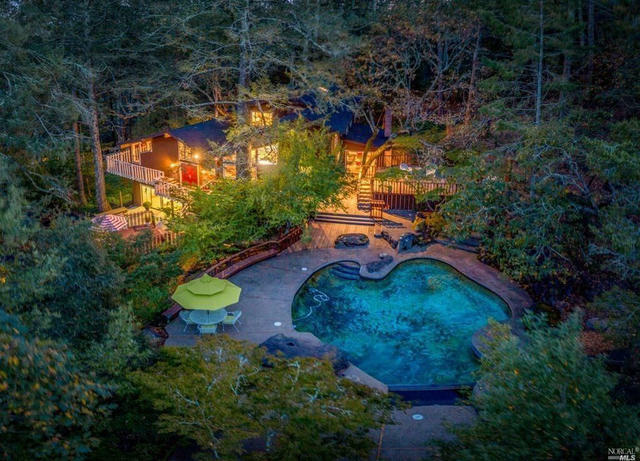 A home in Santa Rosa has a backyard oasis. Marilyn Monroe was a big supporter of the charity. 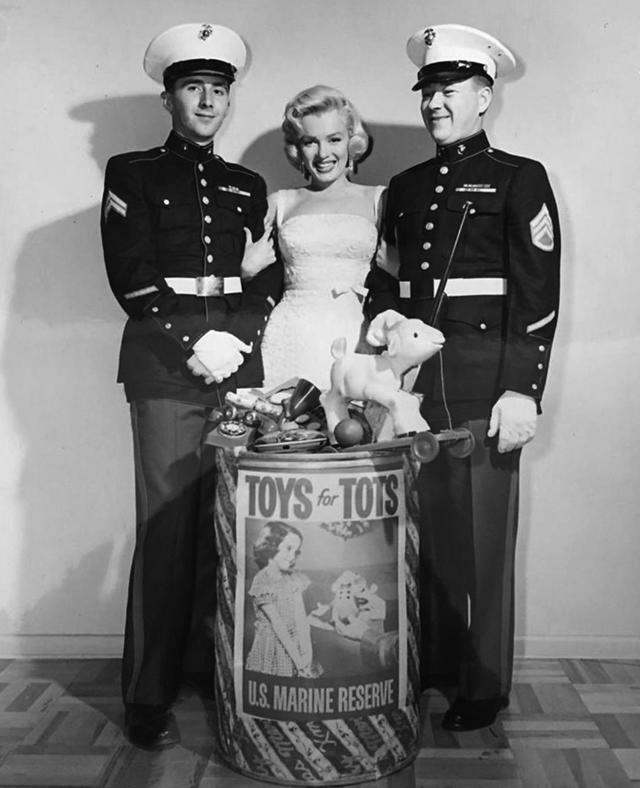 Toys for Tots, the charity that collects Christmas toys for underprivileged kids, was founded by a Marine in Los Angeles in 1947. One day as he was admiring a ragdoll his wife made, she suggested it would be nice to give it to a poor child. He said he didn't know any agency that did that. "Why don't you start one?" she said. He brought the idea to his Marine Corps superiors, who told him: "Don't fail." Toys for Tots is today is a nationwide outpouring of toys with annual revenue well over a quarter-billion dollars. 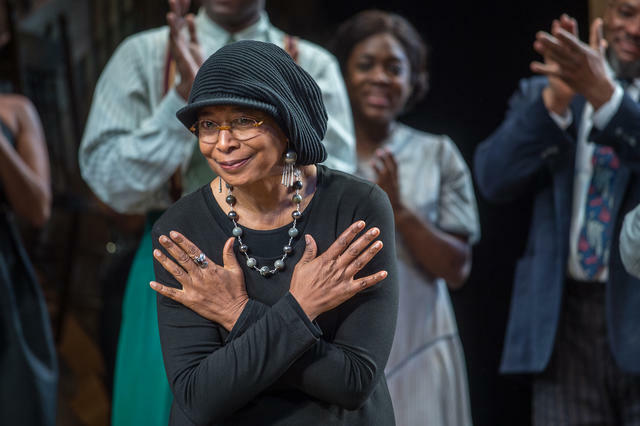 Alice Walker attended "The Color Purple" musical in New York City in 2015. "The Color Purple" author Alice Walker found herself embroiled in controversy after she endorsed a book by David Icke, an anti-Semitic conspiracy theorist who has argued that Jews bankrolled the Holocaust. It turns out she's been promoting Icke's work for years. Walker lives in Northern California and has been inducted into the California Hall of Fame. Google ended its push to launch a censored search service in China. The project, which would have blacklisted websites and search terms about human rights and democracy, ignited an outcry from both inside and outside the Mountain View company. 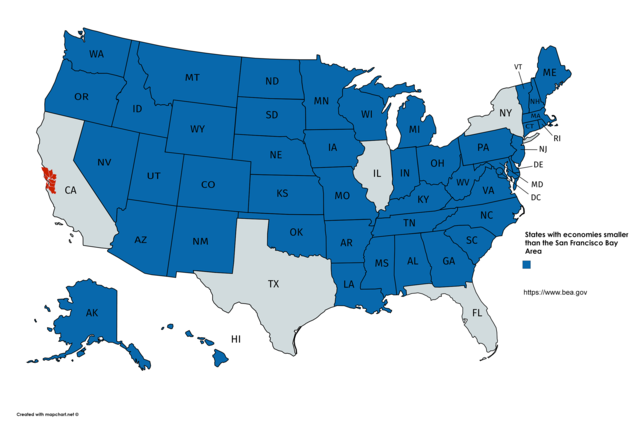 States with economies smaller than the Bay Area are depicted in blue. Someone created a map illustrating the size advantage of the Bay Area's GDP over all but a handful of U.S. states. (The data appears to check out, though Pennsylvania and the Bay Area have been neck-and-neck.) A study earlier this year found that if the Bay Area were a nation, it would command the 19th-largest economy in the world, bigger than Switzerland and Saudi Arabia. And it's growing about twice as fast as the U.S. economy. Backfire training in Antioch on June 19. 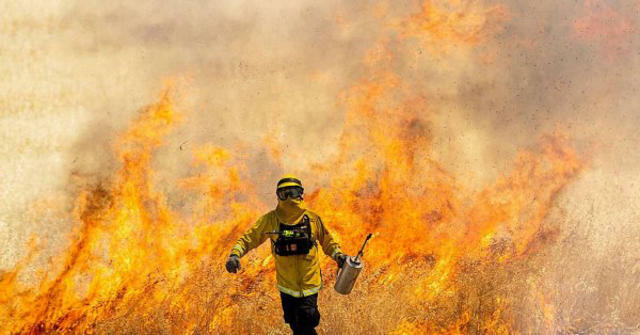 "California on fire." "NorCal beauty." "Politics and protests." The S.F. Chronicle's photo department combed through more 95,000 images to select the best 115 from the year in Northern California. A sculpture at The Bulb. There's a park made of rubble on a tiny peninsula jutting into the San Francisco Bay. The Albany Bulb was created in 1963 as a landfill, then closed two decades later after a series of lawsuits. The unclaimed territory attracted a community of vagabonds and artists — dubbed "landfillians" — who congregated amid the decay. 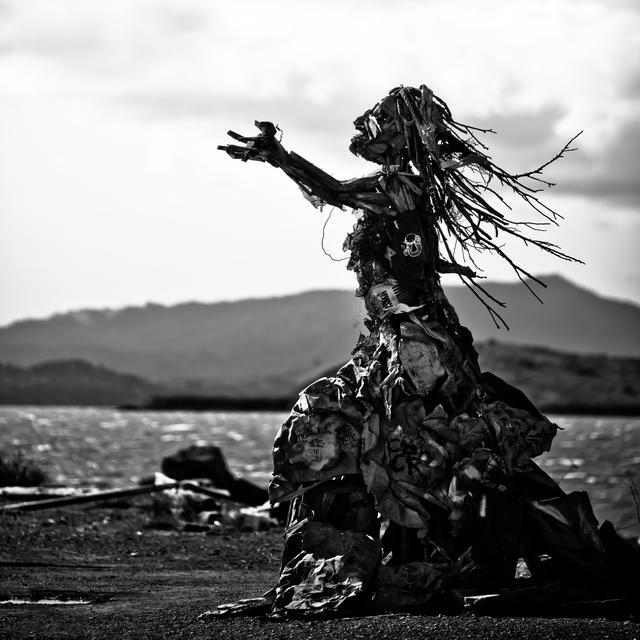 Over time, they transformed it into an anarchic wonderland of garbage sculptures and graffiti. 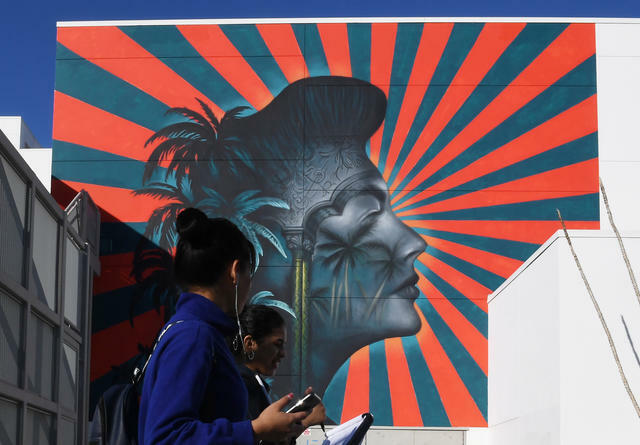 A mural of Ava Gardner at a school in Koreatown sparked controversy. Los Angeles school district officials backed off a plan to paint over a mural with a sunburst that a Korean-led group complained looked similar to the Japanese imperial battle flag. The district had said earlier that it would remove the painting to avoid offense, setting off a chorus of objections on freedom of expression grounds. A new program in Los Angeles will let residents repurpose vacant city-owned lots as parks, gardens, or marketplaces. There are thousands of such lots around the city. The hope, an organizer of the project said, is to let residents "realize the potential of their own neighborhoods." 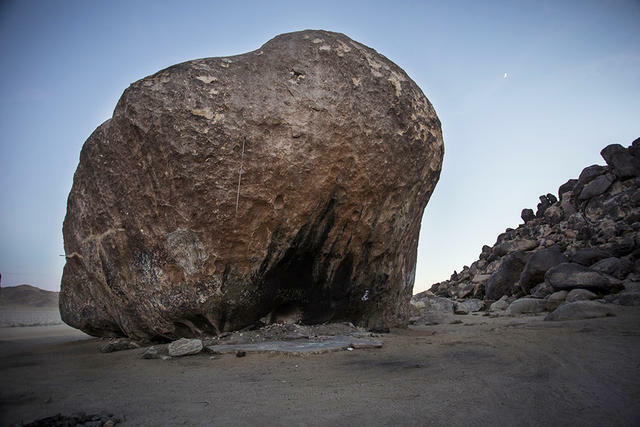 At the end of a bumpy road in the Mojave Desert is one of the world's largest freestanding boulders. Giant Rock stands seven stories tall, weighing in at 25,000 tons. In the 1930s, a German miner dug a chamber under the rock and lived there. According to legend, during World War II, the authorities became suspicious of the recluse and tried to smoke him out with tear gas. That ignited his stash of mining explosives, killing him. An alien enthusiast was next to take up residence at the boulder. He later designed the famed Integratron, a domed structure that was to be capable of rejuvenation and time travel. It's still in operation to this day. Griffith J. Griffith, circa 1910. This is Griffith J. Griffith, a murderous misanthrope who nonetheless occupies a cherished place in Los Angeles history. 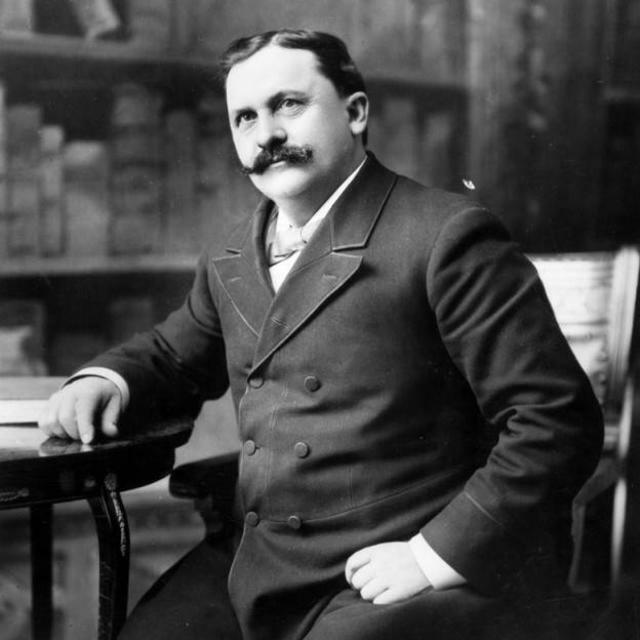 Born poor in 1850, he made his fortune in mining and bought vast tracts of land around Los Angeles. It was on this week in 1896 that Griffith donated more than 3,000 acres as a public park "for the plain people." This became Griffith Park. His life took a dark turn a few years later. Fearful of a plot to poison him, Griffith shot his wife in the face. During a sensational trial, the disfigured woman revealed that he was a secret drunk prone to flights of paranoia. After serving nearly two years in prison, Griffith died of liver disease. A trust he left behind was used to build the Greek Theatre and Griffith Observatory. Maurice Rowland, left, and Miguel Alvarez. 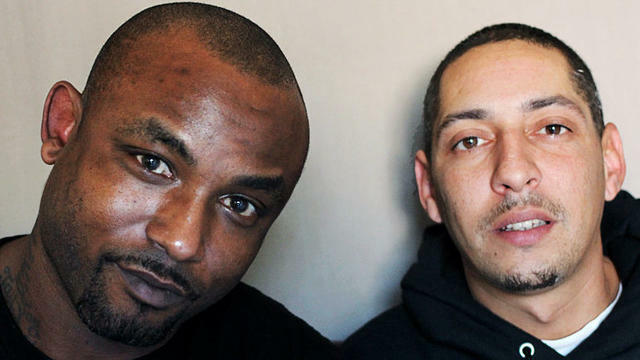 In 2013, a janitor and cook cared for the abandoned residents of a Castro Valley assisted living home in an act of selflessness that reverberated across the state. When the state ordered the shuttering of Valley Springs Manor over code violations, the owner and administrator simply fled, halting the staff's pay, and leaving about 16 elderly and mentally ill residents to fend for themselves. All but two workers left. Maurice Rowland, the cook, and Miguel Alvarez, the janitor, huddled in the facility's kitchen to assess the situation. "What are we going to do?" Rowland recalled saying in a StoryCorps recording. "If we left, they wouldn't have nobody," Alvarez said. The men stayed on at the facility for nearly 24 hours a day, cleaning and feeding the patients and even handing out medications. "Even though they wasn't our family," Rowland said, "they were kind of like our family for this short period of time." After several days, the fire department and sheriff took over. News of the episode led to passage of legislation aimed at shoring up standards at assisted living facilities. It also prompted a number of donations and honors for Rowland and Alvarez, including a commendation from the California Legislature. The Valley Springs owner, Herminigilda Noveda Manuel, pled guilty to felony elder abuse and was sentenced to a year in prison. The administrator, Edgar Babael, got probation for aiding in a crime. Listen to the recollections of Rowland and Alvarez at StoryCorps (~1:50 mins).